Premier League great sympathises with ex-England teammate. 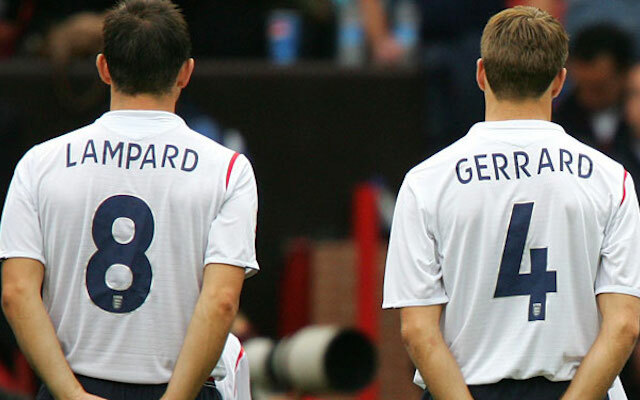 Frank Lampard says his former England teammate Steven Gerrard is doing the right thing by leaving Liverpool this summer. As well all know, the sad day when Gerrard ends his 17-year stay at Liverpool is looming ever closer and he hops over the Atlantic to join the MLS and LA Galaxy. Whether he will compete directly with Lampard is unclear given the machinations of his shady loan move to Manchester City after signing for New York City FC last summer, but the former Chelsea man feels the time is right for Gerrard to exit Anfield as he has nothing left to prove. “I’m pleased for Stevie. I think it’s a very good move for him. What more can he do at Liverpool? He’s had a fantastic career,” said Lampard reports Liverpool Echo.